Like snowboarding gear and winter boots, formal wear is one of those things that requires significant storage space. Unlike puffy nylon coats, you can’t toss suit jackets and pants into a duffel bag to shove under your bed, nor can you drop leather dress shoes into a plastic bin with the rest of your plebeian sneakers. These well-made, fancy (read: expensive) items deserve — nay, demand — good treatment, especially if you want to make them last for another few years of wedding seasons and office presentations. 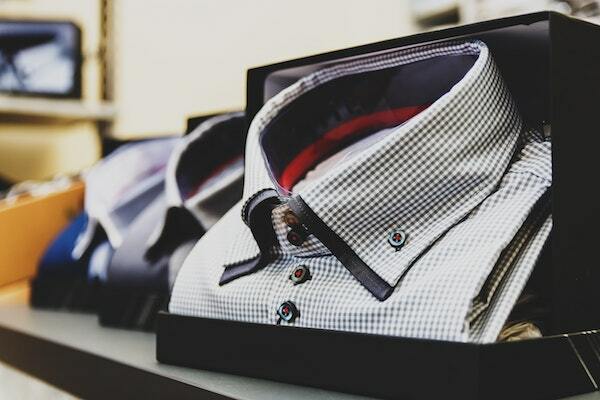 Read on to learn everything you need to know about cleaning, storing, and caring for your suits, dress shirts, pants, and shoes. Using a suit brush, brush the fabric in a downward motion to remove dust, dead skin, hair, or food particles. Follow it up with a lint roller if you want your suit spotless. Check for any small stains, then do a spot treatment using a stain remover or a clean cloth and a squirt of mild detergent. Steam your suit before you hang it up to air-dry. 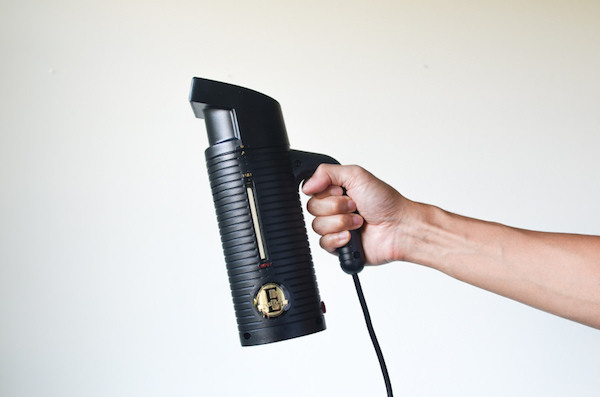 It’s a gentle, efficient way to refresh it, minimize odor, and eliminate wrinkles. If you take these steps and your suit still has stains or smells ripe, bring it to the dry cleaners. 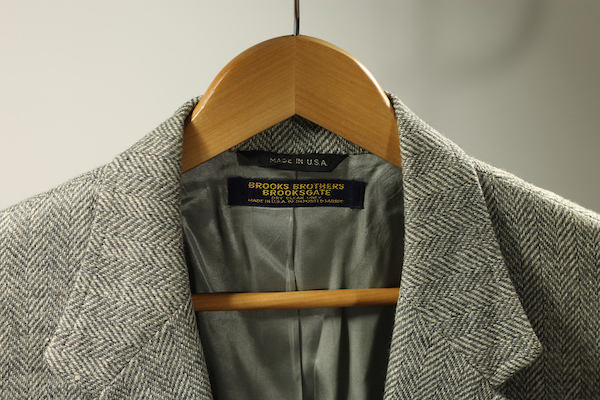 Just remember: the chemicals and products used at dry cleaning establishments are notoriously harsh on suit fabrics and can cause a lot of wear and tear to your digs over time. Dry cleaning your suit occasionally (and as a last resort) is totally fine — just don’t go overboard. If you do take your suit to the dry cleaners, ditch the plastic cover they provide — it can trap gases inside and cause moisture buildup and mildew. The best way to store a suit so it lasts is to hang it somewhere cool, dry, and away from sunlight. Use a widespread, sturdy wooden hanger with rounded edges to hold the shape of your suit, and cover it with a cloth garment bag to protect it from dust, moths, and mildew. If you have multiple suits, space them out evenly on your hanging bar — if they’re crammed together, they won’t ventilate properly. 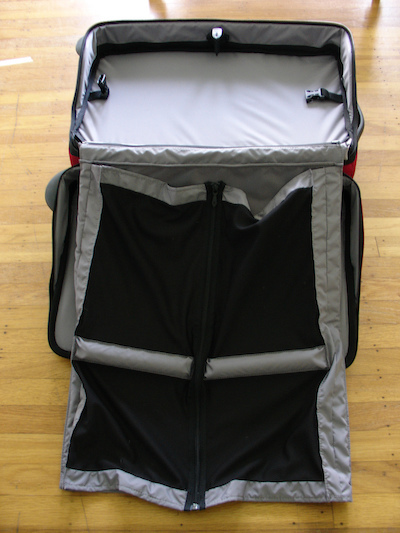 It’s a known fact that folding your suit and stuffing it into a storage box is a cardinal sin, but if you’re moving, traveling, or transferring your suit to storage, you can use a portable garment bag like the one below. It’ll keep your suit in good shape until you can bring it home to its hanger. First, unbutton everything, including the cuffs, and remove any collar stays before washing. Pre-treat stains by dabbing a bit of detergent on them and letting it soak for five to 10 minutes. Before you do anything, check the care tags. 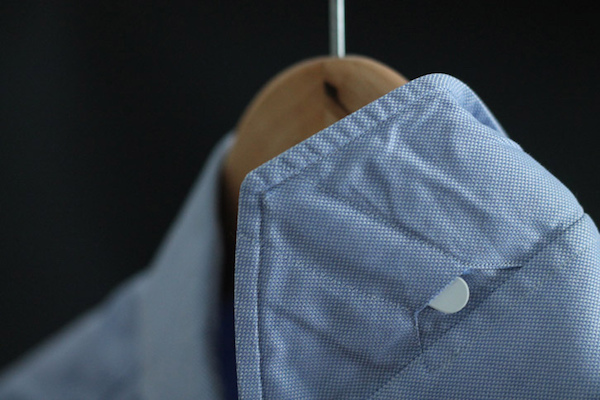 If your shirts are machine-washable, separate your lights from darks and put them on a delicate cycle with cold water. If you need to hand-wash your shirts, fill a clean tub or sink with cold water and mild detergent, then gently swish your shirts in the water to clean them. 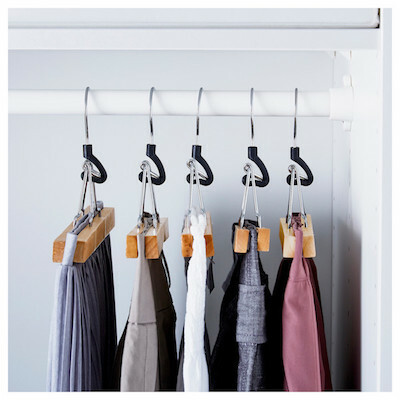 Hang your shirts on a wide wooden hanger to air-dry. 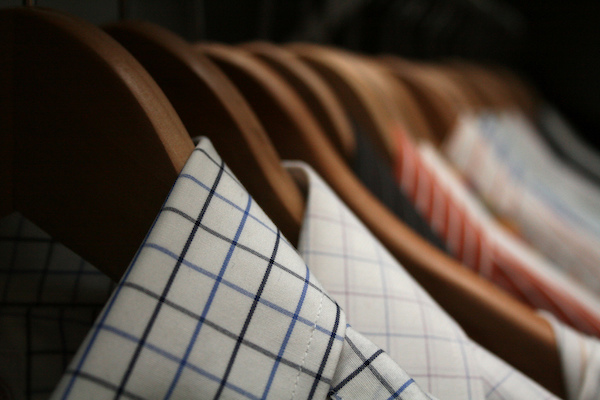 Like suit jackets, dress shirts do best when hung up in a cool, dry closet space. Steer clear of wire or plastic hangers, which can stretch your shirts and leave divot marks or rust spots on the shoulders. If you don’t have enough hanging space, you can fold your dress shirts retail-style and stack them on shelves or in boxes. If you go for this method, make sure to keep your stacks small and separate each shirt with a sheet of acid-free tissue paper to help preserve its color and prevent fading or yellowing. 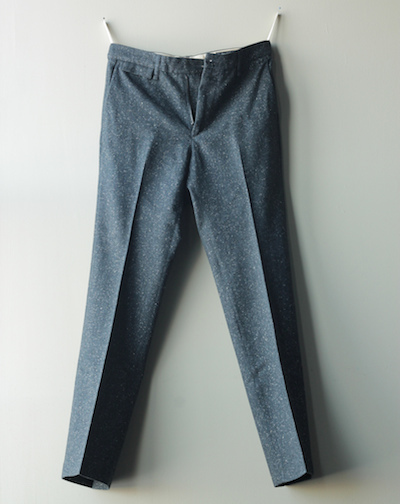 If your slacks or trousers are made from cotton, you can throw them in the washing machine on a cold, gentle cycle. To protect the material, turn them inside out first and use a mesh laundry bag so the zippers and buttons don’t get damaged. Wool and silk pants, on the other hand, need to be hand-washed. Follow the same protocol as you would with a dress shirt: fill a clean basin with cold water and a bit of mild detergent, then soak your pants, swish them around, and rinse. Once your pants are crisp and clean, air-dry them using this method: lay your pants on a clean towel, then roll the towel up (pants inside) and squeeze out the excess water. Do this a couple times until your pants are damp but not dripping, then lay them flat again. Don’t try to fold your pants; instead, hang them by the hem from a felt clamp hanger. A felt hanger helps prevent your pants from slipping and stretching, plus it allow the fabric to breathe. To prevent moths and mold from attacking your pants, place a few cedar blocks or sachets of lavender in your closet. Pro Tip: Cedar blocks and lavender work well in your linen closet, too. High-quality dress shoes can last years if you treat them right. That’s why it’s smart to invest in a basic shoe polishing kit so you can shine up your kicks after every couple wears. 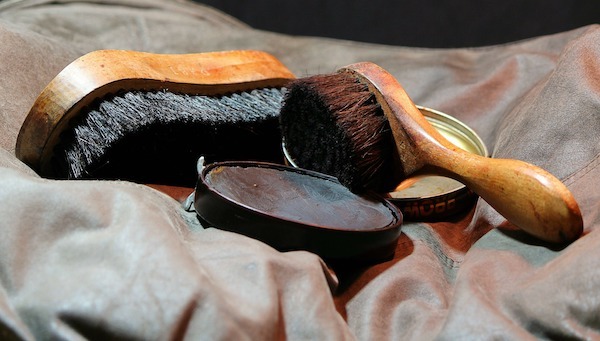 Every kit is different, but make sure you have a bottle of leather cleaner or saddle soap, a bottle of leather conditioner, wax, and a couple clean cloths or old cotton T-shirts you don’t mind soiling. Wipe off debris and dirt on your shoes using a shoe brush or a clean, lint-free cloth. Next, dab a bit of leather cleaner or saddle soap onto a clean cloth and gently work it into the leather by rubbing in small circles. Once the shoe dries, rub it with a squirt of leather conditioner to rehydrate and restore the material. Using an old T-shirt or cloth, rub in a bit of wax, then buff the shoes. Scrub mud, dirt, and scuff marks off the soles and bottom of your shoes using a toothbrush dipped in baking powder and water. Dish soap works, too. 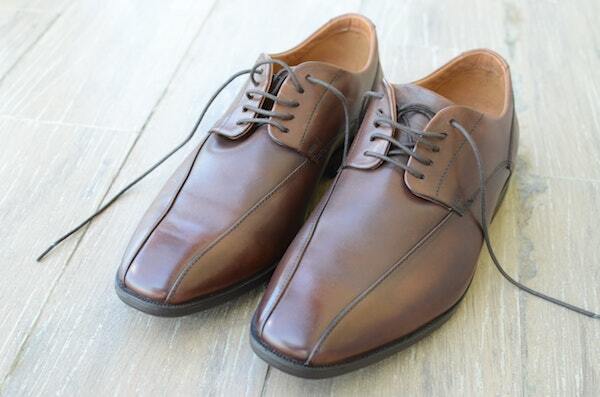 If you have suede shoes, you can clean them using a mixture of two parts water and one part white vinegar. Dip a clean cloth into the mixture and gently wipe down your shoes. 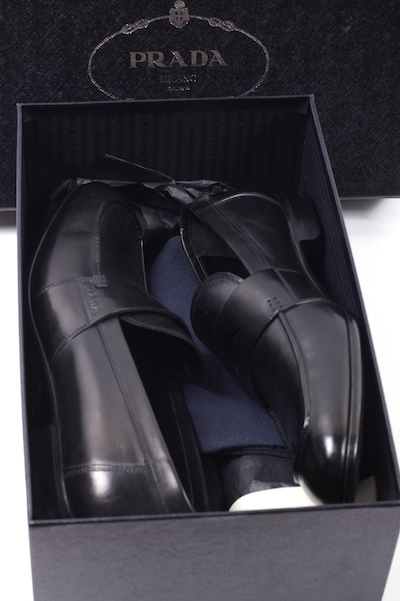 Keep your dress shoes far away from muddy trainers and sweaty sneakers; store them inside a sturdy shoe box somewhere dark and cool, like the top shelf of your closet or the space under your bed. 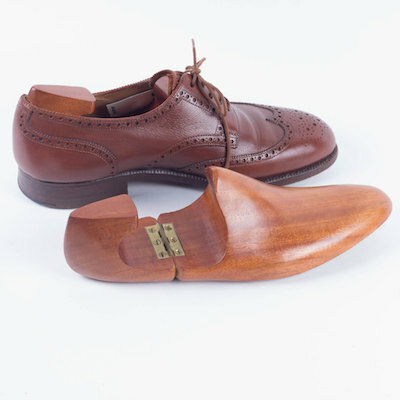 If you know you won’t be wearing your shoes for a while, stick a cedar shoe tree (like in the photo below) inside each one — not only does it help retain the shape of your shoes, it also absorbs moisture and reduces odor. Want more smart storage solutions? These 13 easy DIY storage ideas will organize your entire home. 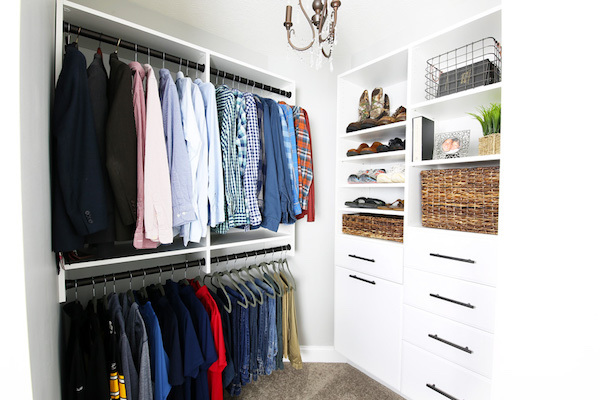 If your closet space is maxed out, use MakeSpace to safely store your suits, dress shirts, pants, and shoes. 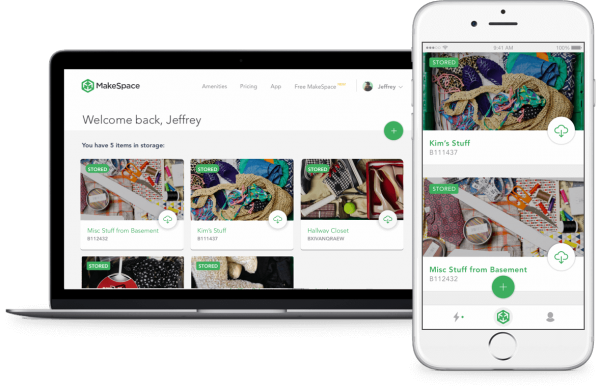 And when you need your suit back for a big event, just browse your convenient online photo catalog of your stuff, click the item’s photo, and we’ll deliver it back to you.